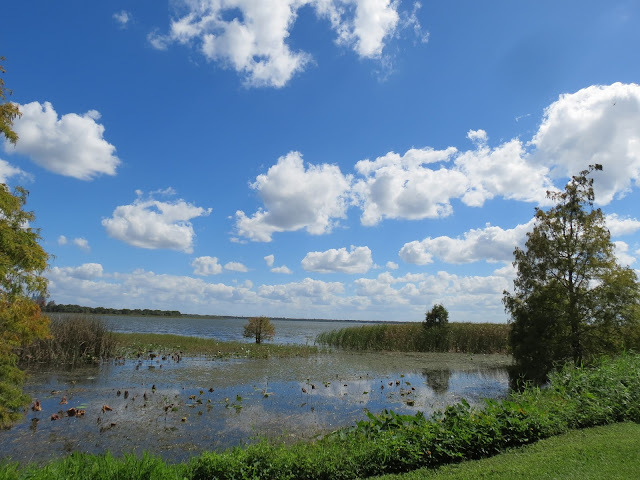 We have been finding some great parks and lakes in Lakeland Florida for our walks and birding. 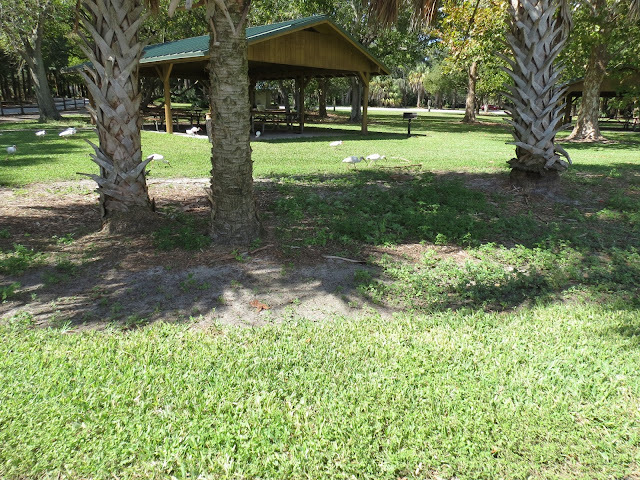 On this day October 19th, we visited a local park in Lakeland called Lake Parker. This is the first Good Fences or European Good Fences hosted by our new host Gosia @ Good Fences by Gosia Welcome and big thanks to Gosia. For my skywatch, I have the sunrise at our neighborhood boat house. The boat house also has some good fences to keep people from falling into the lake with the gators. 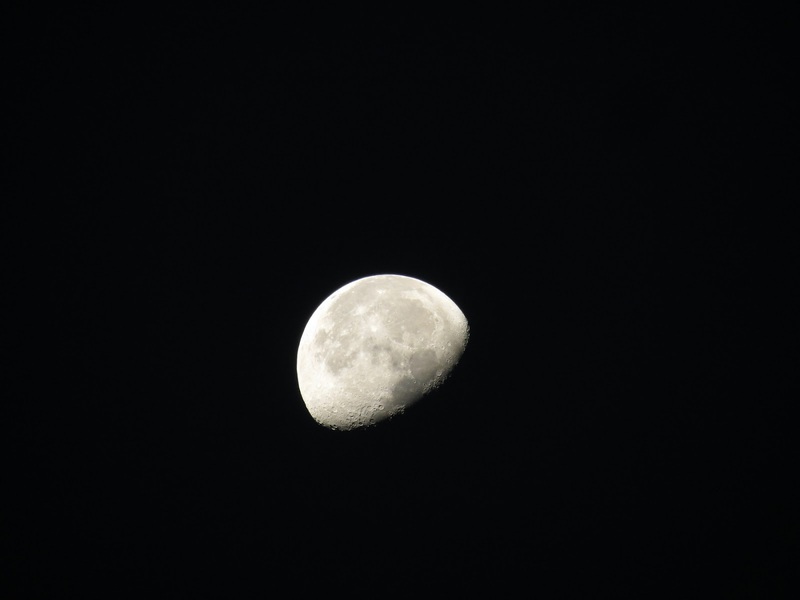 On the same day Oct 20th as the sunrise above I have this moon capture. I am way behind sharing photos. The White Ibis seem to be a common bird all over Lakeland Florida. It was a pretty sky and a great day for a walk in the park. The White Ibis were all over the place. In this photo below you will find a fence behind the picnic pavilion for the Good Fence meme. We are also seeing a lot of Purple Gallinule, they look similar to the Common Moorhen. One difference is the color on the bill. The Purple Gallinule has three colors the red bill tipped with yellow and the light blue forehead. Pretty park scene and sky reflection. I was wondering is anyone beside me unhappy with Blogger's new dashboard. Why do they have to go and change a good thing. I was happy with the old look. I hope you enjoyed my photos. Thank you for your visit and comments on my post. Enjoy your day and the weekend ahead! Here is a list of linky parties for part of the week, I hope to see you there. Thanks to Gosia for hosting Good Fences. Hello eileen and thanks for sharing so many more of your great photos from around Florida! Those sky shots are amazingly beautiful, especially in your header and the purple gallinule is a very pretty bird! Great captures! 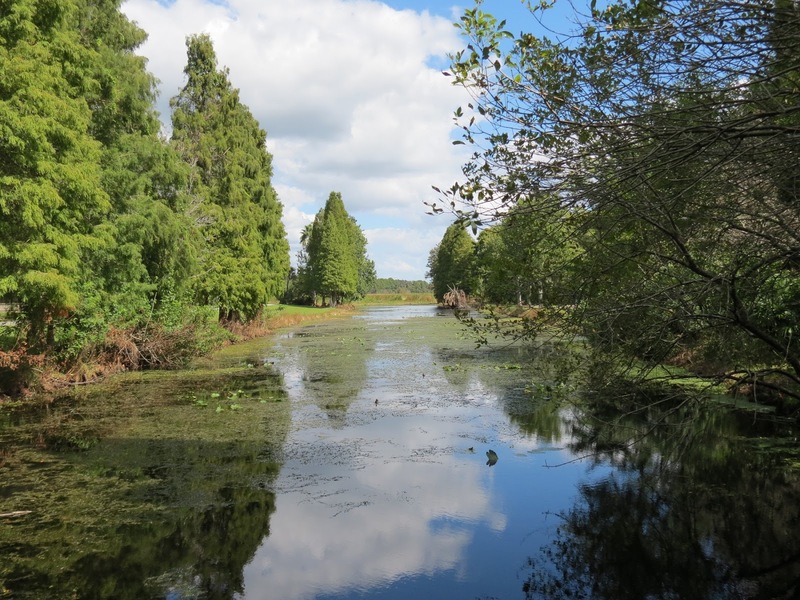 Eileen-it looks like a very pretty place, but I couldn't do a place that had gators. The blogger dashboard takes a bit of getting use to, it takes this old dog time to learn new things. Lovely sights. Excelente trabalho e belas fotografias, gostei bastante. You have captured a beautiful sunrise at the boathouse. I am amazed by the long beaks of the White Ibis. I too prefer the Blogger's old look. Have a beautiful day, Eileen! What interesting birds. Someday I would like to visit Florida, it looks so pretty. i am just so jealous!! here, everything flies away if you get within 100 feet of it!! stunning images and i LOVE your new header!!! Oh my, what beautiful sky shots!! 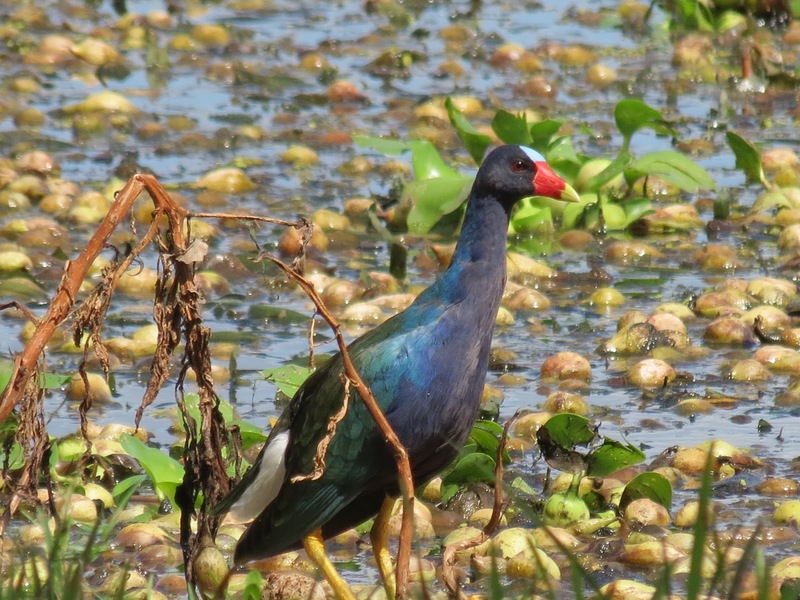 Love the white ibis and the purple gallinule. I've been unhappy with Blogger for quite some time and would move to TypePad if it weren't so much trouble! Thanks for your beautiful pictures once again! They're really pleasurable to view. Regarding the new dashboard look, I think the older one was better, easier to use and more appealing. I was a little disappointed with the new one but I'm getting used to it. I know that lake! Lovely photos Eileen. The ibises are beautiful. We have a flock that hang around my neighborhood and I always enjoy seeing them. Beautiful photos, Eileen and I like you new banner a lot! So many White ibises, incredible! I would have a ball there! They were both pretty skies for your walk in the park, love the reflection in your second park photo. Yes, the new blogger arrangement does take a little getting used to - by the time we all have - blogger will no doubt change it again! I envy you these nice warm spots to walk about in, Eileen! I hate the new dashboard too. And since the change I can't post on Safari anymore but Firefox is working for me. And my computer isn't really that old. They make things redundant too soon these days. Beautiful sunrise, and there are sure lots of ibis! Yes, I'm not happy with Blogger changing the dashboard....I don't like to have to figure out new things. Love that blue sky with those pretty white clouds. So nice visiting in your world and seeing so many interesting sights. I love the green on the lakes down there. Beautiful. Did you say gators? Your sunrise at the boat house is just beautiful. 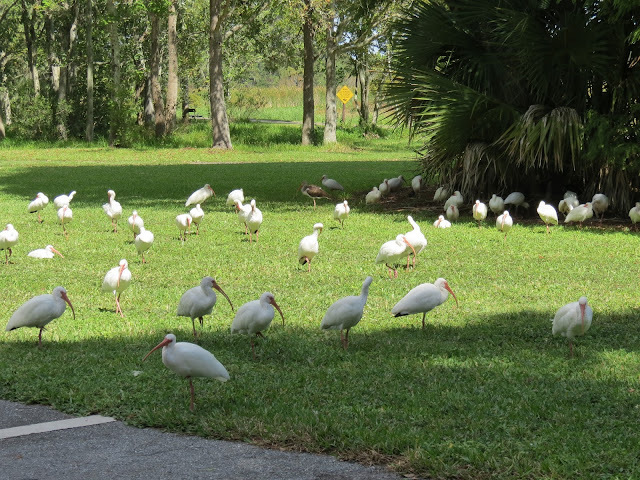 And, that is such a great group of white Ibis. You get a lot of great birds, don't you! The bill on your Moorhen is very colorful, and, is that water lilies in the water behind the bird? 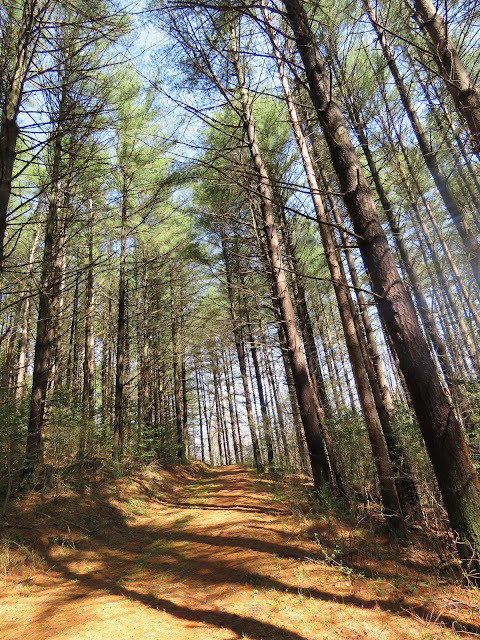 You had a very productive walk, and got beautiful photos. Have a very nice weekend, Eileen. OH, I did want to mention that I agree with you about the changes in the Blogger dashboard. It really is extra work, time consuming, going back and forth to access the stats and posts! What incredible colours in that first photo. Lovely Eileen. Love your captures .... gorgeous sunrise. Think Florida is a better place than cold Norway right now :) But that the way it is when you live far north. Wish you a great weekend, Eileen! Love your header, Eileen..I am not really happy with blogger in general..I get messages about things that I don't know what to do about so I just dismiss them.. Your first shot is so perfect! I love the gold tones! Getting excited to be in Florida myself -- next week, yay!. That looks like a great park. I love that first shot with the golden sky! Have a great weekend. Bom dia, suas fotos são sempre especiais pela qualidade e beleza da natureza que apresenta com todos os detalhes. The White Ibis are beautiful, love that. Wonderful photos, Eileen! Love the moorhen. Getting closer to getting on the road! Great travel and bird shots/. love the purple bird with the rainbow beak. Blogger is a pain changing stuff. I totally agree. And it's not 'old dog, new tricks', it's a less effective change. By our age we know change!!!! sigh. These are beautiful pictures Eileen. I like the white ibis and I'm here incredible. I guess you miss your birds up the coast, Eileen, but Florida is so full of critters it's crazy! Beautiful photos! I've never seen that many Ibises (?) in one place, at one time before. Great photos . . .
Of the lake and Lakeland . . .
Looks like you are enjoying your move! Beautiful work, as usual, Eileen! Lovely images!